If you need further information, refer this link. We are using the Transcend memory card readers and they are working with the eMMC reader converter. Please feel free to add any memory card reader which is compatible or non-compatible with Hardkernel's eMMC reader(converter). I've added a couple of pictures with the latest eMMC / Reader PCBs. i bought the TRANSCEND RDF5 USB 3.0 card reader a month ago on ebay,arrived yesterday.very great piece,it's much faster to write image on it. before,using many different types of chinese reader,the only at low price whose read the emmc.with this 3.0 new reader,burn a image into emmc is so much fast!reccomanded! ps--it's the 2nd in first post image. LogiLink Multimedia Card Reader/Writer is working. LogiLink CR0009 Mini USB reader for microSD/microSDHC is working. 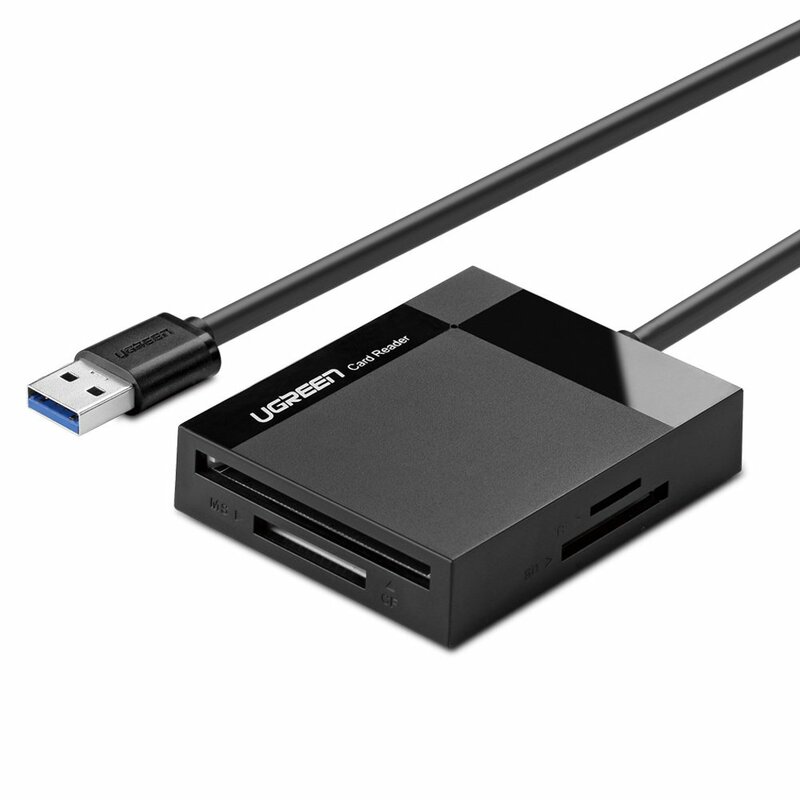 Edit: LogiLink CR0034 USB-Stick for SD/SDHC/SDXC USB3.0 is also working fine. Today, I bought this hama-cardreader which is working great with the emmc-microsd-adapter! Write-rate approx. 10MB/s - 20MB/s. Hama USB2 SD + MicroSD Reader shouldn't work I think. I flashed many images with no errors but odroid u3 + xu don't start. Most of "SD to MicroSD" adaptors don't work because of mechanical/electrical contact issue. Both slots don't work with eMMC modules. 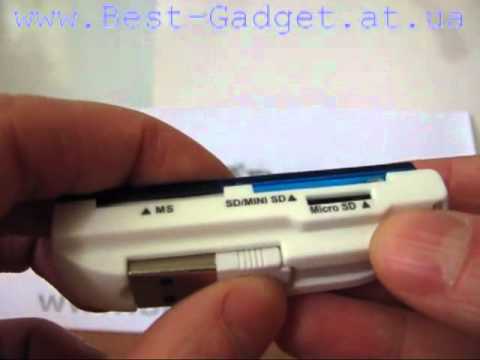 A simple no-name microSD-USB adapter (like the one in the picture) that I bought for equivalent of less than 1$ works. wish i had seen this thread earlier! now ordered a TS-RDF5K. Thanks! i have many working adapters..but everytime i have to come back to this. Check out the attachment picture of a MSI StarReader which is no success for me. I have ordered an U3, XU and 8gb (linux) and 16gb (android jellybean) eMMC modules. The 16gb Android Jellybean for XU is working out of the box and is very fast. I can use it as a internet or desktopcomputer in the kitchen hanging from a creen wallmounted, very nice. But the 8GB Linux emmc module did not work out of the box. It was ordered for the U3 and it didn't booted. Then I was curious and thought, lets read them from my desktop those both cards. And that was a surprice. Both cards were not recognised in Lubuntu on my desktop, pulling out the emmc with microsd attachjment and then replace it with 4 different microsd cards, they were all accepted. I think this reader is not compatible with the way the emmc modules for odroid are read out. In the meanwhile the U3 is running from a microSD card samsung class 10 with Lubuntu 13.x (don't know exact version raring ringtail). Starting smoothly desktop environment openbox with LXDE i think. XBMC gotham playing bluray very good, via cabled network and network filesystem nfsv4. Unfortunately I have not got automount working so have to click drives (mount) manually, but no problem. I will let you now if I can flash the eMMc modules with my new to get Transcend RDF5 USB 3.0 cardreader. First of all, sorry about the non-booting eMMC. Even we've tested the eMMC before shipment, 0.5~1% of eMMC module doesn't boot. 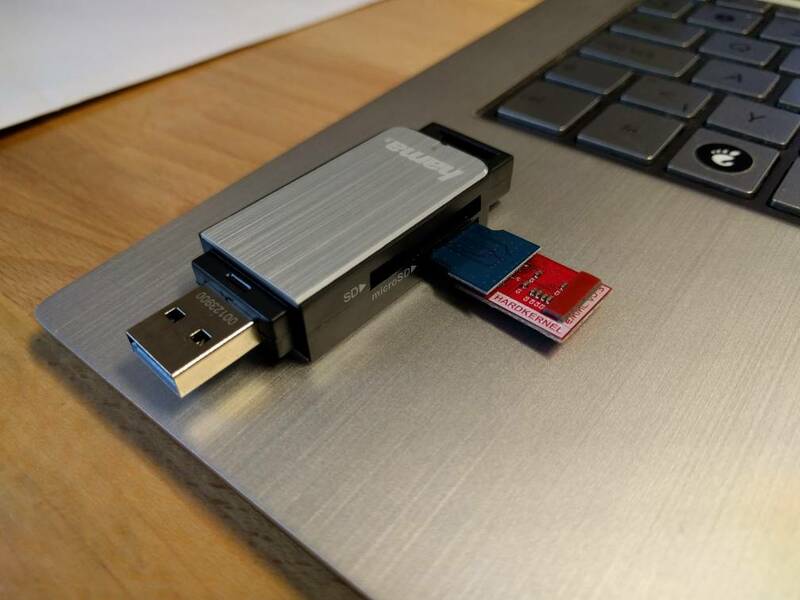 BTW, the compatible USB card reader will be very useful to update/change/recover the OS image. Thanks for the quick reply. That makes me happy. However the fact that I am disappointed, I don't give up on that Transcend RDF5 reader. I know what your product can do already so I am not that worried. The Odroid XU running out of the box Jellybean 4.2.2 perfectly via HDMI on a BenQ FullHD GL2250 with Sound. But I want to flash that one to Lubuntu or Xubuntu so I can use it more like a desktop. Android just doesn't fit my needs. I'll give an update as soon as I recieve the reader tomorrow. Hahaha, I can tell you njow it works. The transcend RDF5 reader it works. I was amazed. How can it be working now? Both the 8GB and 16 GB eMMC cards I can now manipulate in for instance GParted under Lubuntu desktop PC AMD based, and on a Lubuntu EEEpc T101MT intel atom based via GParted. No problem anymore. 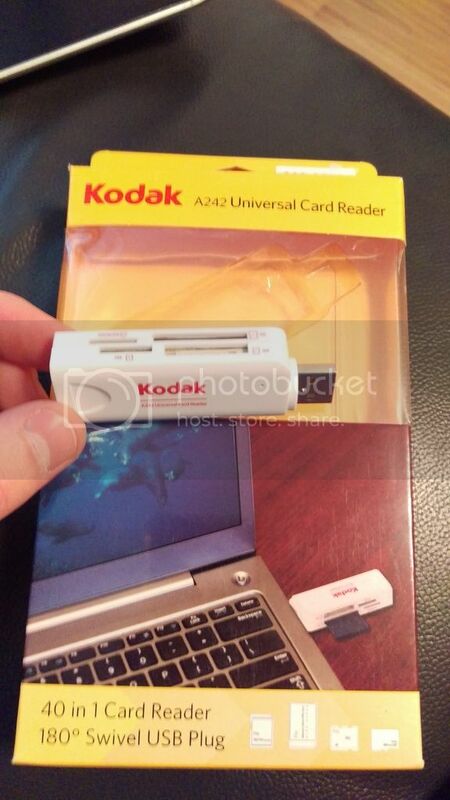 This card reader I ordered locally in the netherlands it was priced at around 7 euro's or so. I guarantee it is not even 10 dollar. all though the sd card inserts into the usb-plug so I had to solder on an extension usb cord. Looks a bit stupid, but does the job. EDIT: Image. Took a while, but its here. Last edited by Skrogh on Tue Aug 26, 2014 6:00 am, edited 1 time in total. Got this little one for 4.95 $ from SparkFun. Works great. Tested in win7 VM and OS X.
works great. $7 or so. When EXT drives are mounted with FUSE, the volumes are interpreted as network drives or servers, so if you are hiding desktop icons or connected servers from Finder preferences you won’t see it except in a Finder window sidebar. 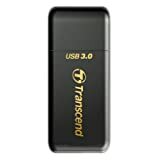 Does anyone know if "USB 3.0 Transcend TS-RDF8K" is working? 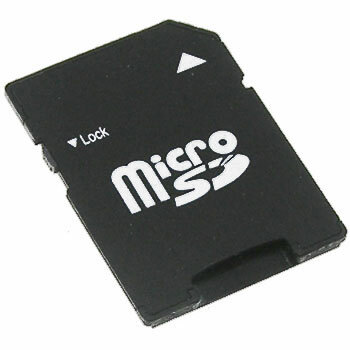 If the cardreader writes the image to a normal sd card does that also mean that it is compatible with the emmc-micro-sd adapter? fuxing wrote: If the cardreader writes the image to a normal sd card does that also mean that it is compatible with the emmc-micro-sd adapter? IOGear GFR204SD doesn't work for me. I had a cheap direct microSD to USB, did not worked at all. Could put recovery or reformat but writing image was making random errors. 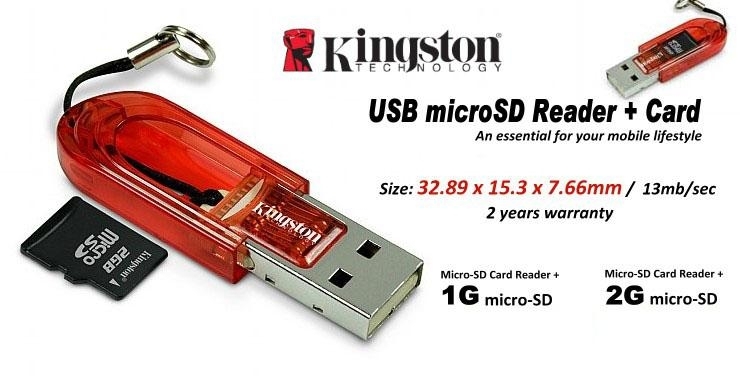 I took a Kingston microSD to SD adapter, plus an old SD to USB adapter, plugged in USB 3.0 as USB 2.0 did not work. Then my eMMC 5.0 worked fine and me, well, very very happy.... It's like if I added the fuel that the rocket XU3Lite needed! My microSD was very slow, even for a class 10. I have a Sunpak 72-in-1 reader that works very well. I just successfully tried flashing an 8GB eMMC module with an UMTS-Stick (MEDIONmobile web stick / Huawei E173u-2). done the same job) the black cover. and read the board via a laptop. Last edited by jonvi on Thu Jan 21, 2016 9:26 pm, edited 1 time in total. and read the card via a laptop. In theory yes.. but it isn't a good idea. If the bootloader on eMMC is bad.. you won't get OTG support since you relay on the bootloader to start the usb stack and otg support. This MicroSD adapter works great! odroid wrote: Most of "SD to MicroSD" adaptors don't work because of mechanical/electrical contact issue. I wont be able to run Android on my Odroid? If your card reader can't read the eMMC, yes. I can confirm this cardreader worked for me and I was able to flash a corrupt EMMC card using the supplied Odroid SD adapter with no issues. It's available (If like me) you are in the UK and you can get it delivered SAME day via Argos.co.uk's fast track service. Its 2 in the morning. Your inner peace depends on booting your brand new ODROID C2 from its emmc. Yay, emmc 2 sd card adapter fits in my mobiles sd card slot! So, root your mobile, install busybox. If ubuntu mate image fits not in internal memory, pipe unxz -c into dd. You can use a rooted Samsung Galaxy Tab 3 10.1 to write with, I do it all the time. You have to move microsd dust cover out of the way a bit to get the emmc adapter inserted but not enough to hurt it. Just FYI, this nasty piece of generic plastic refuses to recognise the eMMC adapter at all -- it does recognise it when plugged into an SD adapter, but corrupts the partition table and throws random I/O errors. 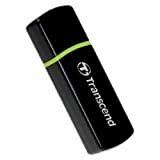 Is this the right Transcend model? Got the Transcend RDF5k. Setup Android on an EMMc card via sd adapter right off worked fine. Then I decided that I would like to try Libreelec. Plugged it all together again and continue to get: "an error occurred when attempting to lock the volume. Error 5: Access is denied"
Have tried several USB ports on both desktop and laptop, using Windows 10. ODROIDs: C1 / C2 / XU4 + Cloudshell. http://DietPi.com - Lightweight justice for your Odroid. This Hama 123900 works. Contacts of the MicroSD Adapter need to look up. I am using a Dynex DX-CR112 SD/microSD Memory Card Reader and it works perfectly. The numbers on the blister pack are AMI-CFS10 and bar code 9334613001309. There are no markings on the device to indicate what goes where.